A number of serious dental and medical problems can result from poor oral hygiene – including periodontal disease. Also known as gum disease, periodontal disease is a serious inflammatory disease of the support structures of the teeth. If oral hygiene is not maintained and plaque build-up occurs, it hardens to form tartar. This tartar, which can only be removed by a dental professional, then irritates and inflames the gums, exacerbating the problem and damaging nearby bones and ligaments. It may also lead to bone and tooth loss. Gum disease refers to the inflammation of the gingiva or soft tissue surrounding the teeth. The oral bacteria in our mouth, along with saliva and food particles, form a sticky substance known as plaque, which is responsible for causing gum disease. When plaque is allowed to harden and becomes tartar, it cannot be removed by normal tooth brushing. Only a dentist or dental hygienist can remove tartar to prevent the development of gum disease. The inflammation caused by the bacteria is known as ‘gingivitis’, or the early stage of gum disease. Untreated gingivitis can develop into periodontitis – an advanced stage of inflammation – that occurs when the plaque grows and spreads below the gum line. The infection can cause the bone and connective tissue that hold your teeth in place to break down, leading to eventual tooth loss or a badly damaged tooth that needs to be extracted. The importance of early detection and treatment of gum disease symptoms cannot be over-emphasized. Regular checks at a dentist’s office will significantly reduce the risk of gum disease, and more importantly, prevent it from developing beyond the early stages. 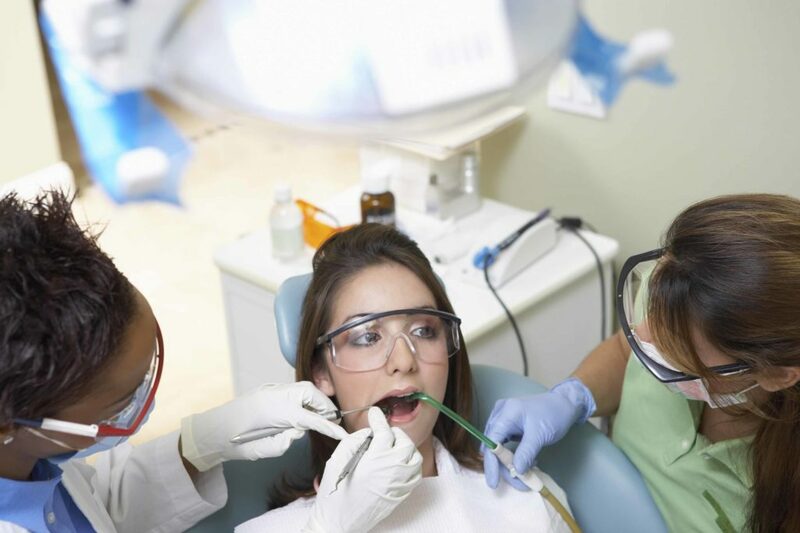 If detected early, gum disease can still be treated with minimally invasive methods. Delaying treatment can lead to major dental problems down the road, resulting in the need for complex dental procedures and even surgery. Diagnoses can only be made upon a dental assessment by our team, where treatment options can be explored. Call our friendly team to obtain a comprehensive dental assessment of your teeth and gums.